Turkey’s President Recep Tayyip Erdogan has accused opposition MP Eren Erdem of “betrayal.” Erdem told RT that Islamic State terrorists had obtained sarin gas supplies through Turkish territory – and that Ankara did nothing despite having all the evidence. “There is a deputy in this country, buried so deep in a pit of betrayal, and to a party that claims to be as old as the republic saying during an interview to a foreign television channel that Turkey is selling chemical weapons to terrorists,” Erdogan told a crowd in the city of Konya. “What is this party waiting for? Why are they silent? This is treason. How can you allege this country sells sarin gas to the terrorist state of Syria which is run by the murderer Assad?” Erdogan said, as cited by local media. “Shame on those who still keep him in the party!” he added. What Erdem actually revealed in an interview with RT on Monday were the details from a criminal case opened, and then abruptly closed, by the General Prosecutor’s Office in the Turkish city of Adana. His account alleges that Turkish authorities had acquired a great deal of evidence concerning sarin gas shipments to those Al-Qaeda militants in Syria that later became known globally as Islamic State (IS, formerly ISIS/ISIL), but did nothing to stop them. “Chemical weapon materials were brought to Turkey and put together in ISIS camps in Syria, which was known as the Iraqi Al-Qaeda at that time,” Erdem told RT. The indictment stated that the chemical weapon components had originally come from specific European countries and were to be seamlessly shipped via a specific route through Turkey to militant labs in Syria. Despite the detailed evidence available, the 13 suspects arrested in raids in connection with the plot were released and the case was closed after merely a week. Erdem speculated that the Ghouta chemical weapons attack in Syria, which took place in August 2013 shortly after the case wrapped up, was most probably carried out by jihadists with the sarin gas smuggled through Turkey. Furthermore, Erdem pointed at some evidence implicating the Turkish Mechanical and Chemical Industry Corporation and, allegedly, the Turkish Minister of Justice Bekir Bozdag in the sarin smuggling business. RT was far from being the only platform Erdem used to attract attention to the issue. The interview took place a week after the MP had confronted the government about the smuggling case in the Turkish parliament. Erdem was accused of treason following his revelations and Ankara’s Chief Prosecutor’s Office opened a case against him. CHP Secretary-General Gursel Tekin has stressed that the party “stands behind” Erdem. 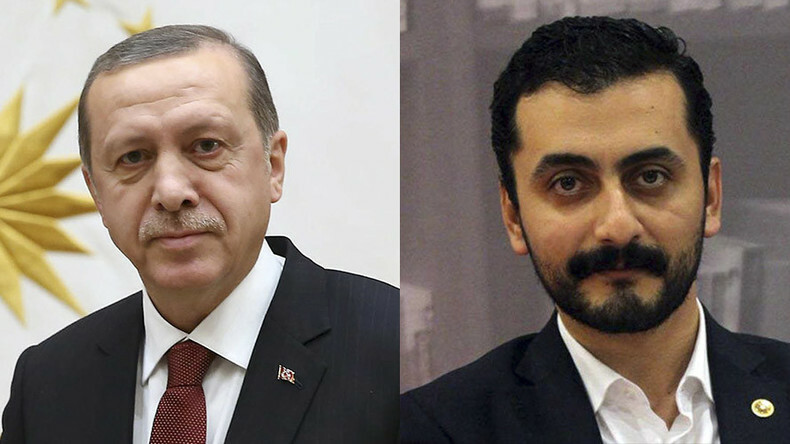 Meanwhile, Erdem said he has received death threats on social media, adding that the Ottoman Hearths paramilitary organization has published his address on Twitter to enable attacks on his house. Freelance journalist Merav Savir told RT that she tried to speak with Erdem on Thursday morning. “He sounded afraid on the phone and told us that there were people outside his house here in Istanbul overnight, chanting death threats, calling him a traitor and waving Turkish flags,” Savir said. She added that this is a common for opposition politicians, who are afraid of commenting on the ongoing investigation.